Did you know that one person dies every hour of oral cancer every single day? About 53,000 people in the United States are expected to be diagnosed in 2019. Some of these may be children. When you think of oral cancer, you likely associate it more with smoking or exposure to HPV—not kids. Although rare, oral cancer in children is possible and can be deadly. Keeping reading to learn more information about oral cancer screening in Castle Rock for your child. Teeth are designed to last for a lifetime with the right care over the years. The biggest threat to their health is tooth decay. Although cavities can occur no matter your age, children are prone to them because they often have poor oral hygiene habits. In fact, 42% of children under the age of 11 have had at least one cavity. Adults are not immune to tooth decay as 92% of adults have had at least one cavity in a permanent tooth. Now, you can give your family an added layer of protection with dental sealants in Castle Rock. 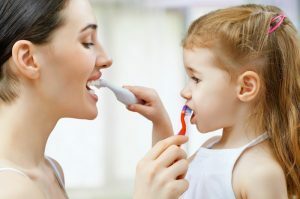 Because maintaining excellent oral health is valuable to you, one of the first lessons you’ll teach your toddler is the importance of brushing his or her teeth on a regular basis. An area you’re not sure about, though, is when to incorporate fluoridated toothpaste into the regimen. Your pediatric dentist in Castle Rock provides the expert advice you need! 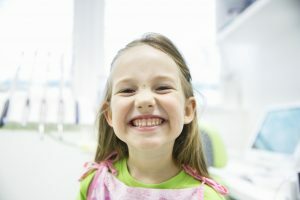 Unfortunately, even if you make every effort to prevent your child from getting cavities, sometimes it happens anyway. 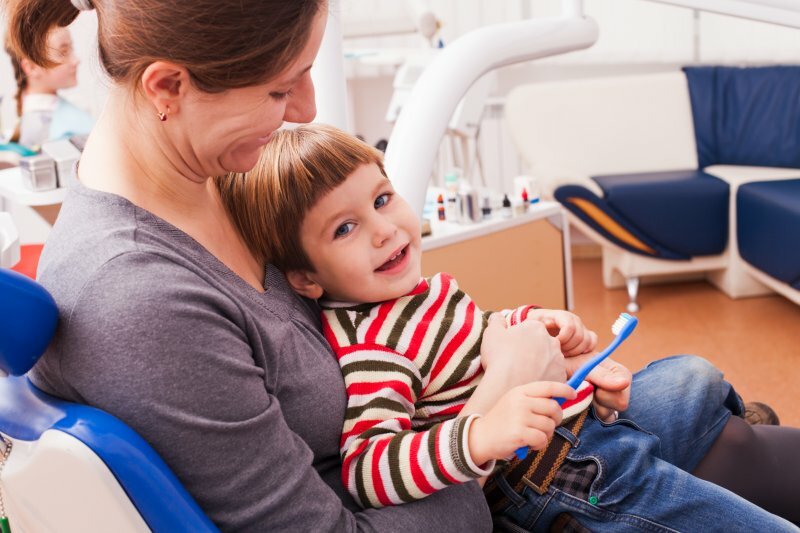 But a common question that parents have is whether they need to have a pediatric dentist in Castle rock repair cavities in their child’s baby teeth. 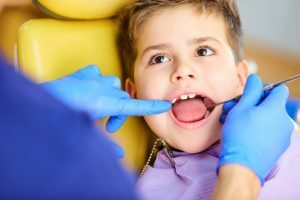 Those teeth will be falling out anyway, so it seems like a good way to help your child avoid a dental procedure and even save a few bucks at the same time. But you might be surprised to learn that there are many good reasons (both short-term and long-term) to repair cavities on baby teeth. Keep reading to learn more! As an adult, you’re probably aware of the importance of getting screened for oral cancer. But what about screenings for children? You’ll be glad to know that the risk is low (but, unfortunately, not non-existent). As with all cancers, early detection is key to successful treatment outcomes. 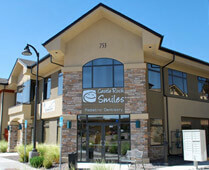 Fortunately, screenings are included in every checkup with a children’s dentist in Castle Rock. Learn more below about what you can expect from a screening for your child and some things to keep an eye out for at home! 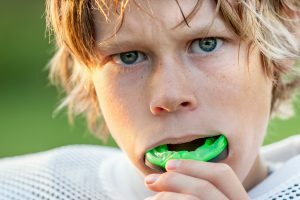 Prevent Dental Emergencies with Mouthguards in Castle Rock! As a parent, you know how fast a situation can turn for the worse, which is why you are always concerned for your child’s safety whenever he or she is involved in any type of sporting event. A particular area of concern for you is how sudden impact to your child’s mouth can result in tooth loss. You’ve learned about the value of wearing mouthguards in Castle Rock, but your child doesn’t think it looks cool enough. What can you do? 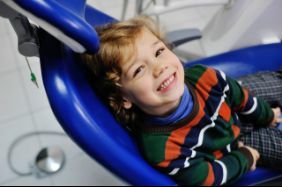 As you read on, your pediatric dentist provides some helpful suggestions! Comments Off on Prevent Dental Emergencies with Mouthguards in Castle Rock! For parents of children with unique needs, it can be difficult finding professionals who can provide the specialized care they require. When it comes to oral care, the same applies. 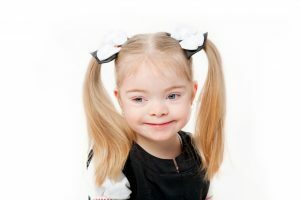 Thus, you need dentistry for special needs kids in Castle Rock provided by a dentist who is properly trained and experienced in working with this population. Read on to learn why it’s necessary to find the right type of professional to calm your child’s anxieties and deliver quality care. You’re walking down the hallway with your infant straddled to your hip, when their pacifier suddenly falls out of their mouth and onto the floor. You quickly pick it up, clean it in your mouth, and return it to your little one before they can start to get fussy. Does this scenario sound familiar? We often pick up childcare habits from our own parents, relatives and close friends. However, some of these “innocent” habits may not be so safe after all, especially when it comes to your child’s oral health. In today’s blog post, a children’s dentist in Castle Rock reviews some common pacifier habits and shares preventive oral care tips for your little one’s growing teeth. Fluoride is a mineral that is typically found in many natural water sources, but it can also be found in food when the source it was grown or processed from also utilized it. It’s also found in toothpaste recommended by the American Dental Association and your children’s dentist in Castle Rock. However, you may have questions about this mineral and how it benefits your child’s oral development. You may be wondering what it’s benefits are or how to include more of it in your diet. Today, your dentist is here to do exactly that. Before that adorable smile makes an appearance, those precious little teeth have to push their way through your baby’s gums. This process, called teething, can lead to swelling and discomfort for your little one—not a pleasant situation for either of you. Fortunately, there are things you can do to help. 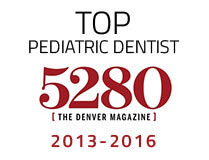 Read on to learn what a children’s dentist in Castle Rock recommends.